No matter where you are in Brisbane and Australia, we can send you a NAATI certified Burmese translation via email and post. You can use our Burmese translations certified by our Burmese NAATI translators for submission to any Australian immigration department and other Australian government institutions. We also provide Burmese translation services for business and technical documents that are delivered by our professional Burmese translators. Whether your business is in the legal, medical, financial, or technical field, we have a wide network of Burmese translators who are specialised in every area. We have the most competitive rates in Brisbane for NAATI certified Burmese translation services. For as little as AU $69.00 per page, your Burmese documents, licences and certificates will be translated by the most qualified NAATI accredited Burmese translator. Fill in the enquiry form on this page, and we will email you the exact quote in under 15 minutes. Our pricing depends on the document’s length, complexity, deadline, and language. Our translators can complete a Burmese translation in just 2 – 3 working days with our standard processing time. If you need faster Burmese translation services for urgent cases, we can provide our Urgent Burmese translation services. Expect to receive the finished translation in less than 24 hours! Avail of our Burmese translation services today and receive the best quality of translation in the least amount of time. Get started by completing the translation form. Why Choose Our Burmese Translators? Most Australian authorities require a NAATI certified translation of your Burmese documents upon submission. When you avail of our NAATI accredited Burmese translation services, we guarantee a 100% acceptance rate in any of these institutions. Brisbane Translation is well-known for its high-quality NAATI Burmese translation services. Ensure your translation gets accepted in any visa, job or university application, choose our Burmese translation services. In getting a FREE quote, we do not ask for you to submit the original files. A clear scan or photo of your Burmese documents will suffice. This will help us assess your document and provide you with an accurate quote. Brisbane Translation is composed of the best of the best NAATI certified Burmese translators who deliver high-quality translations no matter when the deadline is. We have screened and hand-picked Burmese translators who have a proven track record, years of experience and specialisations in each field. Our customer service representatives are available 24/7 to answer any of your queries and assist you with your translation needs. From the receipt of the translation request, our project managers work closely with our clients to ensure all of their requirements are met until the document is delivered. Note: For certified hard copies, inform us if you require one, and we can send the hard copy for your translation via post. 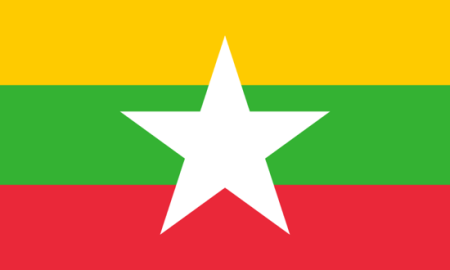 Myanmar’s official language is Burmese. The language is considered as a part of the Tibeto-Burman language group. It also belongs to the Sino-Tibetan, language family. The oldest Burmese language is traced all the way to the mid-11th century. The text is a sample of the Old Burmese language where the current Burmese language came from. Today, the language is used by most of the Burmese people as a second or native language. Around 52 million people use the Burmese language in their daily conversations, most of which reside in Thailand, Singapore, Malaysia and Burma. Brisbane Translation’s customer service was great! They replied fast and answered all of my questions in just a few seconds. Thank you so much for your help! Would, and will, use this service again whenever needed. Five star service!